Google Goes Loco With Logo: Part of Big September Surprise? With the frothing anticipation usually reserved for an Apple press event, the Web has been buzzing in recent days about an announcement Wednesday by Google that will change search as most people know it. For its part, Google has been fanning the fervid speculation about the event by playing with its logo on its main search page. Yes, Google is always altering that logo. This time, though, it began hinting that the changes were linked to its big announcement Wednesday. 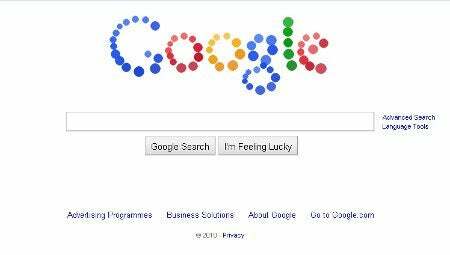 One iteration of the logo consisted of dozens of "balls" in Google's team colors--blue, red, yellow and green--floating on Google's home search page when a user lands there. Shortly, the balls configure themselves into the word Google. Bring a mouse pointer close to the balls, however, and they begin bouncing all over the screen. 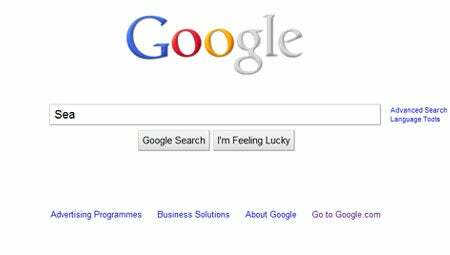 On Wednesday, the logo is appearing in black and white and morphing into Google's colors as a search term is typed on the page. It doesn't take a Sherlock Holmes to figure out what Google is up to, or what the big announcement will be about today. The bouncing balls? They signal the arrival of AJAX-powered search results, something Google has been fiddling with for two years now and apparently feels is ready for prime time. Not only will that move make search more fun for users--as the bouncing balls suggest--but it should speed things up for them, too, as pages won't have to be reloaded every time a new search is performed. Webmasters, though, may find the change less amusing because they say it's going to rob them of valuable information about search terms used by web ferrets. The transforming letters? That's a tip off that Google's ready to roll out dynamic searching. Search results will update themselves as a searcher types a search query on the screen. The feature will make search more interactive but, no doubt, will remove some of the fun from it for searchers who love Google's "I'm feeling lucky" button. Another feature expected to be unveiled--one that's already been spotted in the wild--is showing more search results on a page. Now the default is 10. The new default may be two or three times that. All the speculation will be silenced shortly when Google holds its press conference today at 9:30 a.m. PST at the San Francisco Museum of Modern Art.